I hit the brakes this morning. No, and not while swerving in and out of NYC morning traffic. I deliberately decided to slow down a bit while waiting for my car to be serviced. The morning did not start that way. I was probably the first customer to drive up to the Mini Cooper service department this morning around seven, give or take a few minutes. Check in was blazingly fast thanks to the impressive smarts built into my car key. It looks like a small flying saucer when separated from the main part of the key assembly. This cute, little gadget stores a history of what the on-board computer knew about the car the last time it was inserted. The key recalled mileage, mpg and of course the overall health state of the car. Via a simple uplink, it told the technician that I needed new breaks, that it was too early for an oil change and that, I had not had a safety part recall. I began to wonder if it even knew abut the smelly, extra sharp imported provolone cheese that I was delivering to a friend at the office. Now that would really make the vehicle a smart car! After check in, I decided to head across the street to get some breakfast? The diner was small one, very bright, tiny by most standards, and decorated with elements for nostalgic Americana. Some pictures of old sitcoms that we have all seen and loved in our live: the little rascal, The Three Stooges, I love Lucy and many more. The decor was late fifties and early sixties inspired. Each booth had its own small model car. Mine was an old fashioned ice cream truck. The titles, on the floor and along the walls, was patterned in a multi-layered checkered design, and the colors, a combination of lite teal and off red-rust, gave me a sense of stepping back in time. A good try, at least from what I could tell, but I am no design historian. And then it hit me. I had refused a loaner car. It would just add a stricter timetable for my routine to NYC. To most people it is an expected, can't do without dealership amenity. just another one of those modern conveniences that we have conditioned ourselves to want . I stared out the window and noticed on this very bright spring morning that the blossoming apple trees were particularly beautiful. The trees seemed happy, they seemed natural, unrushed, standing there next to a bright building that invited its occupants to slow down a bit. We say often wake and smell the coffee. wake up and slowly take in the aroma of a slow brewed pot of coffee that had been patiently crafted , from pick to roasting, to grinding and brewing. 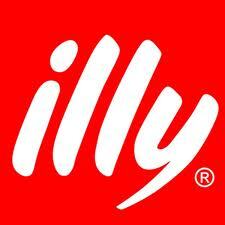 Just go ask mister Illy caffe' and see what he thinks. I had deliberately slowed down a bit , at least for this morning while I waited for my car to be serviced. So I ask you , my friends, why not slow down ? Why subject ourselves to incessant programs of of daily routines that pretty much have monopolized those scarce moments of downtime, those moments of "sweet do nothing" - what we Italians call "Dolce Far Niente" that we so much need. Sometimes I believe that we have reached a point of of no return where it has become impossible to attain the right balance in life, and the right pace at which our days should uncoil. The convenience of a a loaner car only establishes the continuity of a rhythm of crystallized routines of work, some play and scarce and tenuous flakes of leisure. Dropping one car off to pick up another, an espresso drink in hand, just keeps the trend mill running on high. I see this same out of control rush instinct everywhere. Enter an elevator cab, chances are that you will see arms and hands stretching towards the "close doors" button, faster than you can say two Mississippi. You would think that they are seeing a tsunami wave of tardiness racing in, ready to engulf its sleep-eyed occupants. How about when you are patiently awaiting to make a left hand turn ,facing incoming traffic at a busy suburban intersection on a Sunday morning, and an orchestral symphony of crazed clacsons come close to dislodging your rear windshield? Maybe someone is escaping a runaway train, barreling towards the last ferry of day. And what about when , you are barely missed being run over by a smartphone-texting, twenty-something fashionista ? In her multitasking craze, she certainly forgot about the sixteen wheeler , Hello Kitty, strolling carry-on case, which silently clipped your left foot ? Not sure if these kinds of accidents are covered by our standard life insurance policies, but better check with an agent, after you treat yourself with an ice bag and run to your neighborhood shoeshine. Folks, wake up and smell the coffee. I am heading to the espresso machine , not for a Jolt, but just to enjoy the aroma of some Illy, fresh and slowly brewed while I wait for my car to be serviced.